It is seeing original prints from master photographers that inspired me to create my own photographs and learn how to print them as well as they did. Great prints are inspiring. They move us. They transport us to the places they show and make us live the events they capture. My prints, your prints, are the expression of our vision, of our skills and our talent. A print is a lot more than an image on screen. Seeing an image on screen and seeing the same image as a fine art print is a very different experience. An image can look great on screen but dull on paper. A masterful fine art print looks better than its look-alike on screen. It is a successful translation of the screen image into ink laid on paper. It takes skill, practice and experience to perform this translation successfully. Creating an expressive print requires more than pressing the print button. When done to masterful standards a print sends shivers down your spine. I have yet to experience this from looking at an image on screen. A print is a way to preserve our work. Of course so are digital files. However, having just one or the other is not enough. We need both. Digital files can be deleted or otherwise lost to the whim of computer crashes and other digital incidents. Prints on paper are fragile and can easily be damaged or otherwise lost. To best protect our work today we need a dual preservation system. 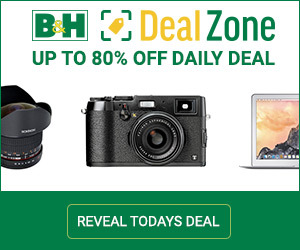 This means having a digital and a physical copy of every image we care about. For this reason, prints are not just an option, they are indispensable. A print has another and major advantage: it can be shared with anyone, anywhere without the need for any technology whatsoever. No digital devices are necessary. All we need are our eyes and the desire to experience the vision of the artist and be inspired by it. I often hear people say that a great print is lyrical. That it talks or sings to us. That it is like a symphony or musical piece, a work of literature even. It is a visual text that asks to be experienced and interpreted. A vision shared over and over again, offering a different experience each time we see it. I have never heard similar comments made about an image on screen. Somehow, an image on a computer monitor or on the screen of a digital device does not convey the same emotion. No matter how beautiful the image looks it remains cold and distant. It is as if the screen acted as a barrier between the image and our emotions, preventing the two from connecting with each other. The print, on the other hand, removes this barrier instantly. The presence of the physical image acts as evidence that a person created this, that it is not just digital data but the physical implementation of an artist’s skilled hand, the expression of that artist’s inspiration and talent. The tangibility of the print and the obvious presence of the artist’s emotion gives us permission to express our own passion. Our remarks, no matter how short, express not only what we see but also what we feel. That is the most important part probably: a print makes us feel something. It is not just about looking, it is about experiencing the image emotionally. Somehow images on screen fail to do that. Today of all the things we can do with digital photography printing is the least popular digital activity. Quite simply, photographers do not print. Or rather only a few of us print our work regularly. For most printing is a sometimes activity. Something done on occasion, when the need arises, or when we have to. For a show for example, or for a print review, or to submit our work for publication, or for a grant or an award for which physical prints are required. With chemical photography, printing was an always activity. If we did not print all we had was a transparency or a negative, something that had the potential of becoming a great image but which in itself was useless in regards to sharing our work with others. Transparencies or negatives had to be printed to be shown. Today we have a computer monitor and for this reason, we can see and share our work without making prints. The monitor is our best friend and our worst enemy. For all the possibilities it offers us –converting, processing, archiving, sharing images — it takes out one of the most important ones: printing our work. As a result, creating physical representations of our images is no longer a priority. This is unfortunate because printing is an art form in itself. If we limit our work to screen output we ignore this essential aspect of fine art photography. In love with our screens — our monitors, iPads, iPhones, and digital devices of all sorts — we forget that prints matter. We forget that screens have limitations. That they need electricity, technology, software, updating. That new screen models will replace the ones we use now and that this will go out seemingly forever. We forget that their glossy surfaces, no matter how beautiful, are devoid of texture and do not demonstrate craftsmanship. Above all, we forget that glass does not express passion. Prints on the other hand do. Paper is tactile and the endless choice of surfaces demonstrate our preference for specific textures, colors of white, tooth, coatings, cotton fibers or glossy substrates. Papers bypass technology, do not require software or computer chips and never need updating. They can be shared anywhere, with anyone, without the need for anything besides our eyes. They demonstrate our skills and craftsmanship, our ability to transform electrons into ink drops on paper. They prove that tones and shapes can become messages on paper. The fine art print is the ultimate expression of our passion for photography, the conveyor of our message, the vehicle of our art. We cannot let it fall into oblivion or become a sometimes activity exercised only when need requires it. It must be an always activity, the legitimate outcome of our art, because this is what is has been until now and what it must continue to be today and tomorrow. This essay is Part B in a series of essays about printing from Lightroom. Just like Part A, it is organized as a set of instructions. For this reason, I recommend you launch Lightroom on your computer and open some images in the Print Module while you are reading it. It will be much easier to follow if you are working in Lightroom while you reading this essay. 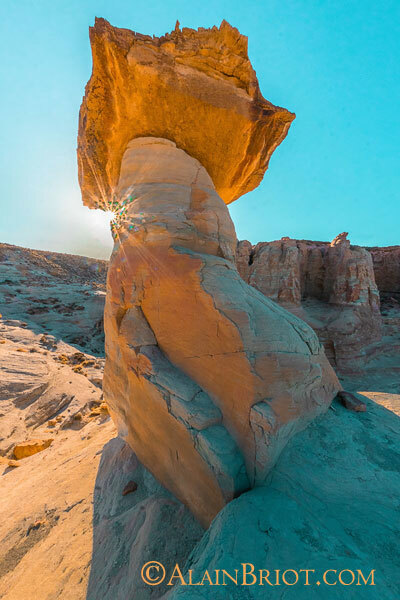 This image was entirely processed in Lightroom, from Raw file to final print file. None of the guides will print on paper. This includes the image dimensions. If you see the image Dimension on screen it will not print on paper. Use IDENTITY PLATE when you want to print your name on a photograph. If you add the identity plate to your print, if you see it on screen, it will print on paper exactly where you positioned and with the color and type you selected. 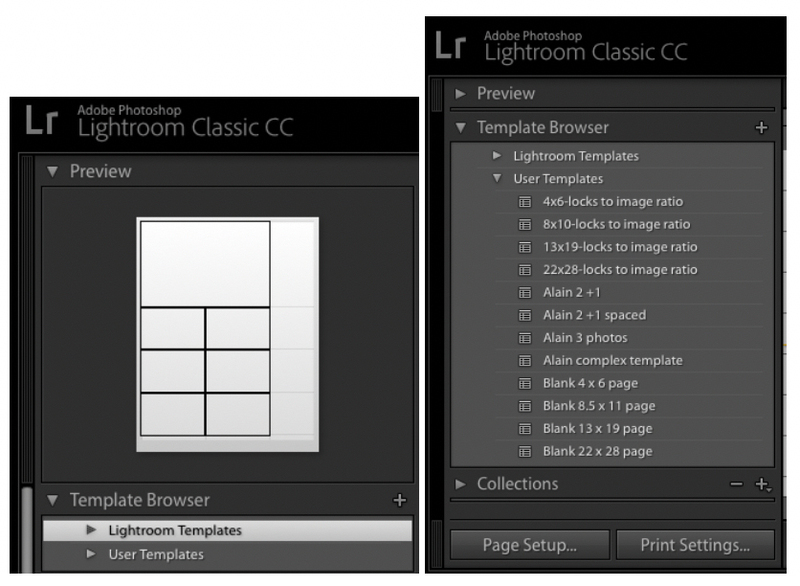 Lightroom comes pre-loaded with a set of Lightroom Templates. You can also design your own templates and save them in the User Templates folder or load custom templates designed by a third party. Let’s look at both options. Using a Lightroom template is simple. Simply click on the template of your choice and you will see the corresponding layout in the Template Preview window above the list of templates and in your main window. Lightroom Templates are provided with a wide variety of settings, in different sizes, featuring both single print layouts and multi-prints layouts. 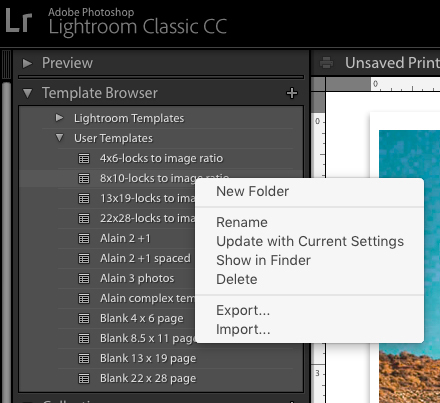 The Lightroom templates menu. At left the preview window and at right the list of User templates. To create a template it is best to work in the ‘Custom Package’ mode because you have access to individual cells which you can add to your layout, size and reposition to design the layout of your choice. To save your layout simply click on the + (plus) sign in the Templates palette, type a name for your template and click Create. Your template will be saved under that name in the User Template section. The preview window at top left shows you a preview of the template you selected. It does not show you a preview with the images you place on that template. Because the main screen updates when you click a template you also see the effect in large size. For that reason, I don’t find the Layout Preview palette that helpful and I leave it closed most of the time. If you create a template for a specific paper type and printer it is best to include the name of the paper and the printer in the template name. That way you know immediately which printer and paper this template is for. This is important if you use several printers and/or paper. That way you do not need to set the printer and paper type again when you select that template. The new template dialog box with a custom name. If you make changes in the palettes on the right side of the screen these changes will override the original settings of the active template. 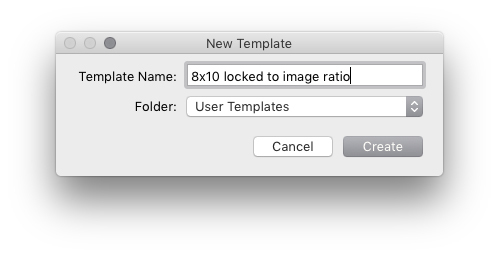 These new settings will be discarded when you close the print job. If you want to keep these new settings you can update your temple by right-clicking on the name of the Template and selecting Update with Current Settings from the drop-down menu. to update a template with new settings. – On the left side of the screen, below Preview, open the User Templates folder. – Right-click on User Templates to see the import command. – Navigate to the F-Templates folder in the Artistic Lightroom Mastery Workshop. 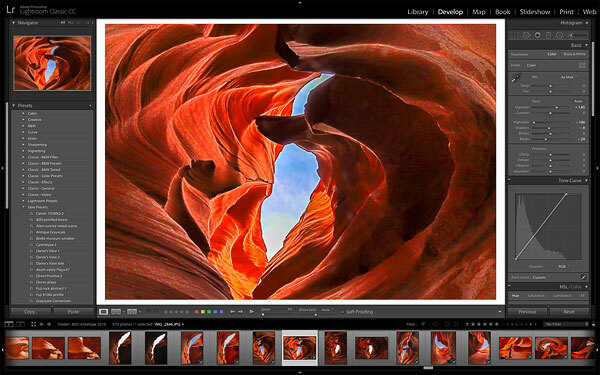 – Lightroom will automatically import the files. G – Where is the Templates folder on my computer? 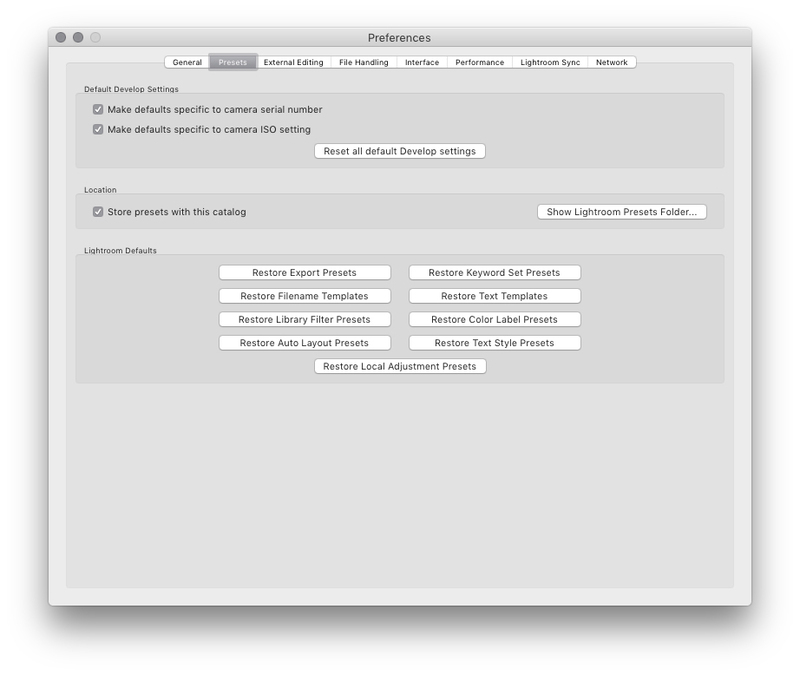 You can also copy the Layout Presets directly to this folder instead of using the Import command. 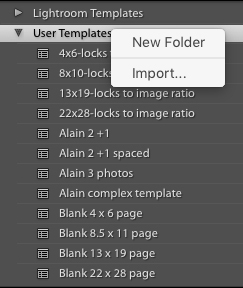 To see the templates folder on your computer go to Lightroom>Preferences>Presets and click on the Show Lightroom Presets Folder button. The folder containing all the presets will open. The user templates folder is in the Print Templates folder under User Templates. The next step is to actually print your photographs. Printing starts with soft proofing the images you want to print. A soft proof is a simulation of how a specific image will look like when printed on a specific printer and paper. Before you print your photograph it is best to create a soft proof to see how the image will look on screen. 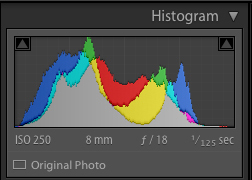 When you click on this button the name of the histogram palette changes to Soft Proofing. You then need to select a printing profile in the Soft Proofing dialog box at top left and a rendering intent (I will cover profiles in details in the next essay). When you do this the histogram will change to reflect the gamut of the print and no longer the gamut of the image file. The name and purpose of the clipping indicators has now changed. The top left indicator now shows the monitor Gamut Warning while the top right indicator now shows the destination Gamut Warning. The Gamut is the range of colors that can be displayed on a monitor or printed on a specific type of paper. The two gamut indicators show you, respectively, the gamut that your monitor can display (monitors cannot display all colors) and the gamut of the image printed on the printer and paper type you selected. You can also create a proof copy by clicking on the ‘Create Proof Copy’ button in the Soft Proofing palette. This is not a requirement because you will see the gamut changes whether you create a proof copy or not. However, creating a proof copy allows you to compare the before and after by clicking on the original image and on the proof copy alternatively. The proof copy is very similar to a virtual copy. The image may show clipping when you turn on the gamut warning indicators. However, this does not mean that your image will look bad or strange when printed. Monitors cannot display all colors and printers cannot print all the colors you see on your monitor. This means that there are inevitable differences between an image on screen and on paper. The only way to truly assess how the image will look on paper is to print it. Avoid making changes to get rid of the gamut warning before printing the image and assessing the print quality by looking at the print and not just at the image on screen. Compare the print to the screen image and see if you notice any significant changes. If you like the print quality no changes are necessary. Only make changes on screen if the print quality is unacceptable. 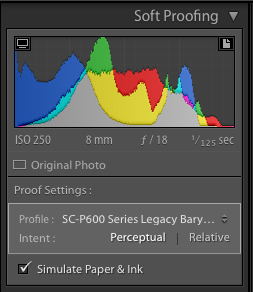 This series is a suivre and you do not want to miss the next episode because this series of essays will continue in the next episode with a detailed tutorial on how to color manage and print your photographs from Lightroom using the Epson SC P600 printer. I create fine art photographs. Before that, I studied painting and drawings at the Academie des Beaux-Arts in Paris. I have published four books and over 500 essays in many different publications, both analog and digital. Besides creating fine art photographs I enjoy landscaping, attending cooking classes, driving sports cars and restoring bicycles. Bianchi, De Rosa and ParkPre are among my favorites together with anything Campagnolo. I like Italian bicycles, bicycle components and cars. It has a lot to do with the passion that the artists and engineers place in the design of their creations. I also like wearing handmade leather driving gloves. My books, Mastering Landscape Photography, Mastering Photographic Composition, Creativity and Personal Style, Marketing Fine Art Photography and How Photographs are Soldare available in eBook format on our website here. Free samplers are available. If you enjoy my essays you will enjoy attending one of the workshops Natalie and I teach together. There is a lot more to photography than reading about it. Nothing replaces being in the field, admiring the light, composing images, creating art, experiencing incredible locations at the best time with the best light. Great landscapes, great companionship, like-minded participant and learning about how to improve your work by finding out what works and what you need to improve upon, all combine to create unique events that will change how you approach fine art photography and will show you how to take the next step with your work. Our workshops focus on both the artistic and technical aspects of photography. Our goal is to help you create photographs that you will be proud of and that are unique to you. 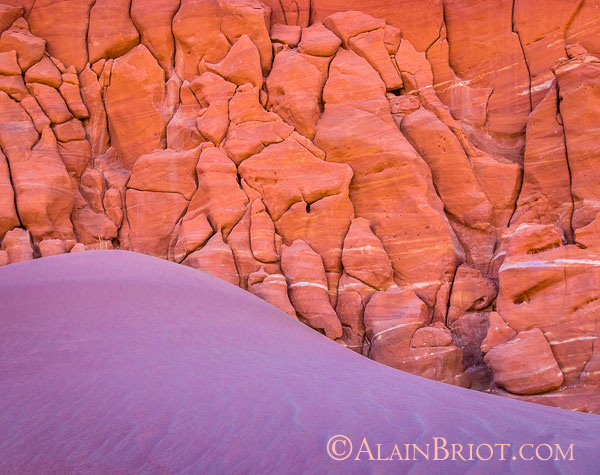 The locations we photograph include Navajoland, Antelope Canyon, Monument Valley, Zion, the Grand Canyon and many others. 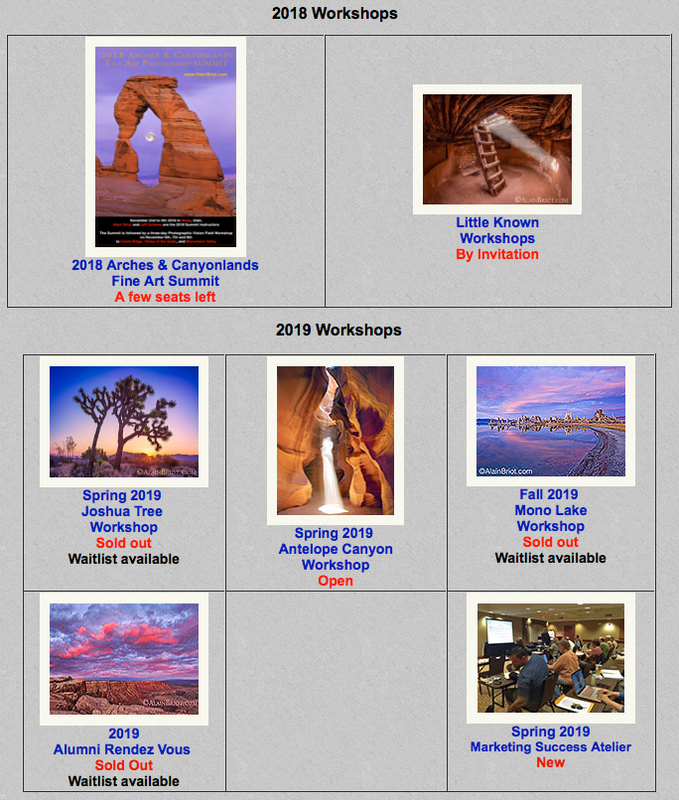 Our workshops listing is available here. You can find more information about our workshops, photographs, writings and tutorials by subscribing to my Free Newsletter on my website here. You will receive 40 free eBooks when you subscribe.